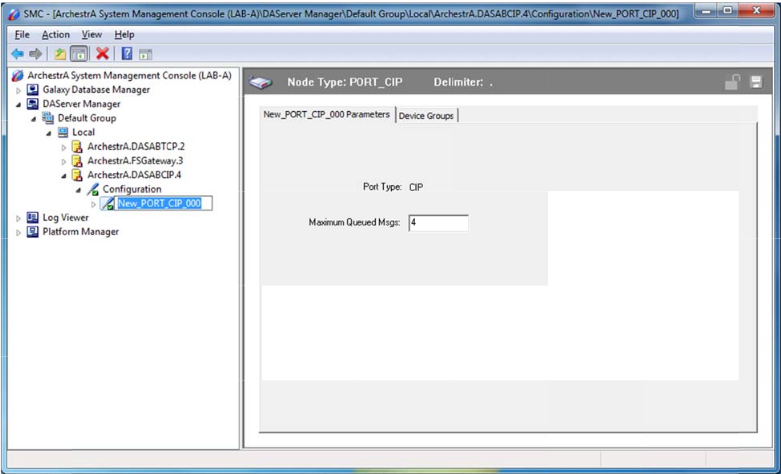 Right click on Configuration and click on Add PORT_CIP Object as shown. 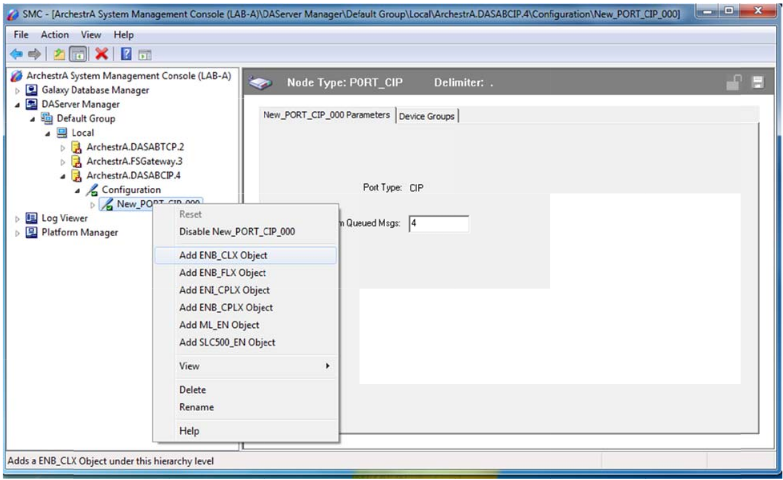 Right Click on New_PORT_CIP-000 and click on Add ENB_CLX Object as shown. 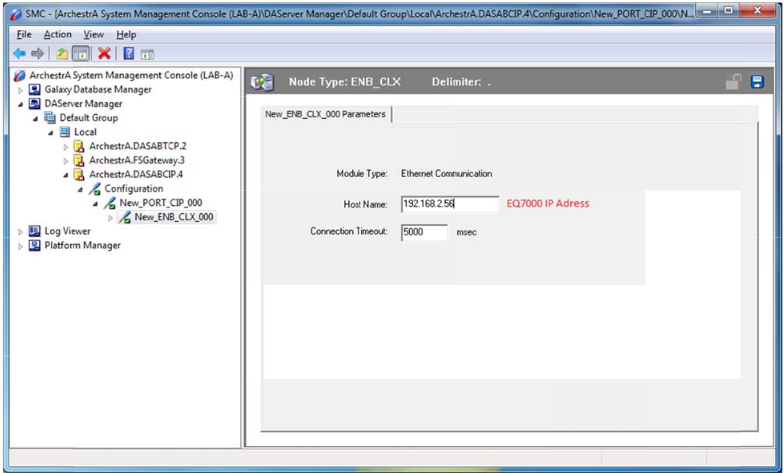 Under Host name enter the IP address of the EQ7000 as Shown. 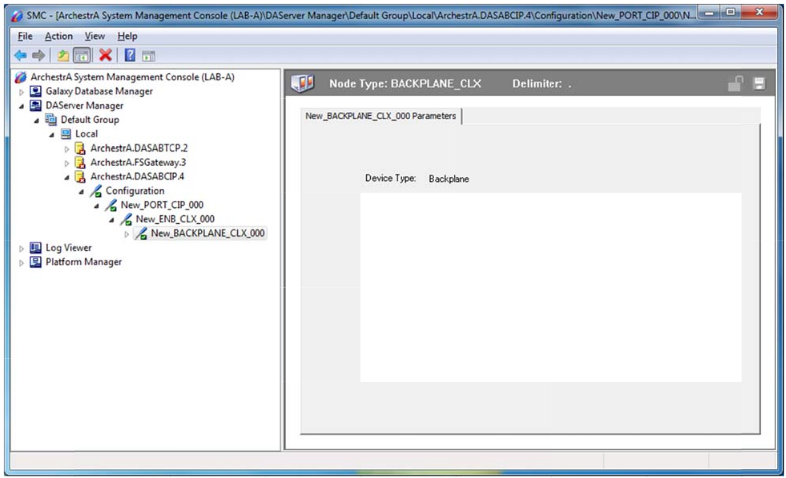 Right click on New ENB_CLX_000 and click on add BACKPLANE_CLX Object as Shown below. 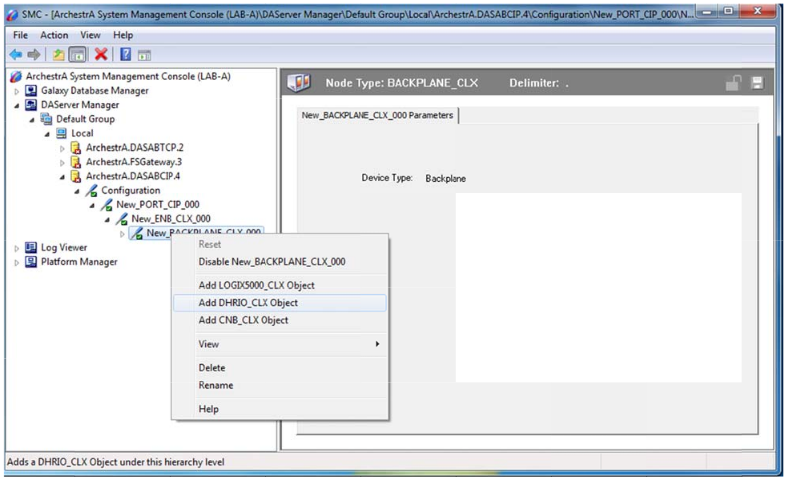 Right Click on New BACKPLANE_CLX_000 and click on Add DHRIO_CLX Object as Shown below, although this is Usually used with DH+ but it is the same for the DH485 . 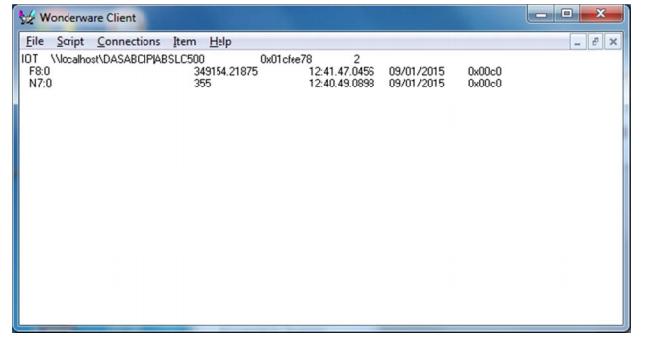 In slot number, please keep it always 0 as shown below . 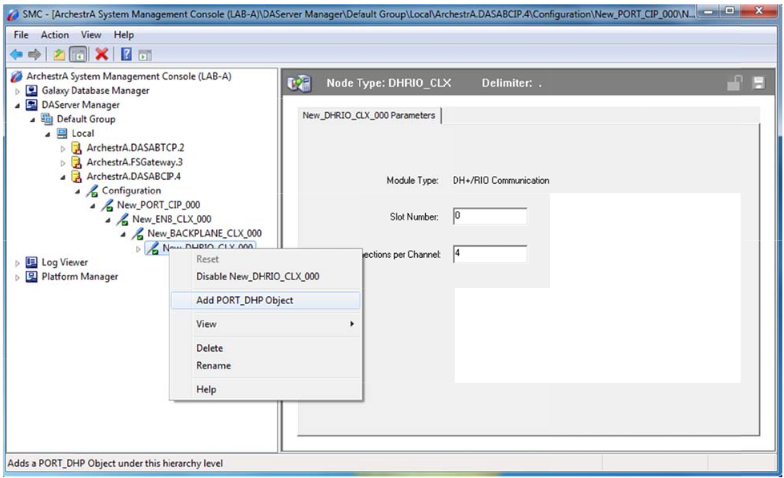 Right click on New DHRIO_CIX_000 and PORT_DHP Object, again this is the same for DH485. 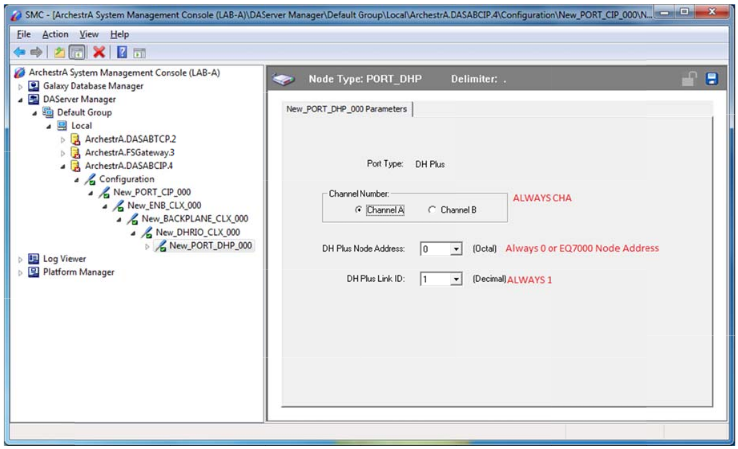 For Channnel number, always Channnel A, for the DH Plus Node Address keep it 0 always, and finally link ID always needs to be 1 shown below . 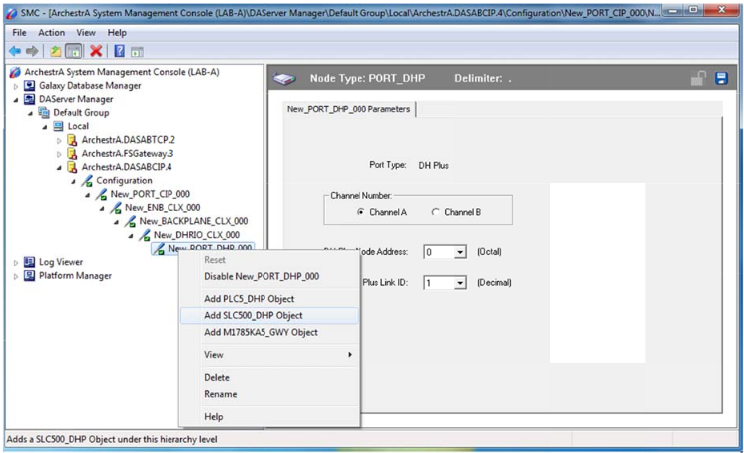 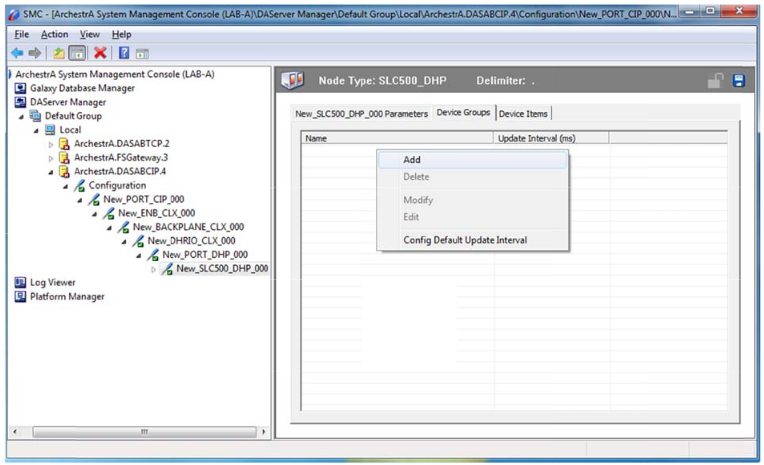 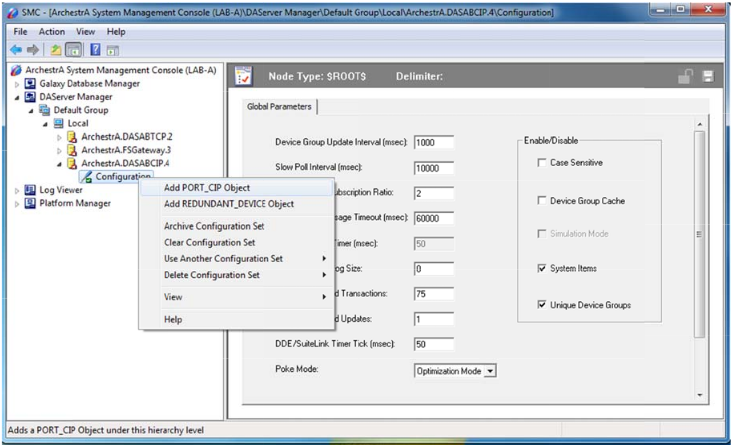 To add a DH485 Port, right Click on New_PORT_DHP_000 and click on Add SLC500_DHP Object as shown below. Note that it does not matter if it is SLC500 or Micrologix, as long as it is an Allen Bradley DH485 device on DH485 network, the EQ7000 will recognize the DH485 Device . 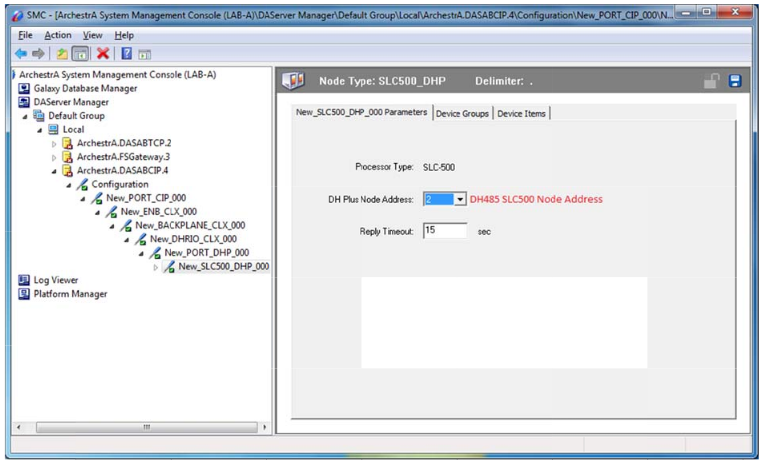 From the drop menu Select the DH485 Node Address of your DH485 PLC, in our example here it is to.Please pay attention and see if it is in Decimal Or Octal . Type in the name of your Device Group, in Our example we used ABSLC500 . 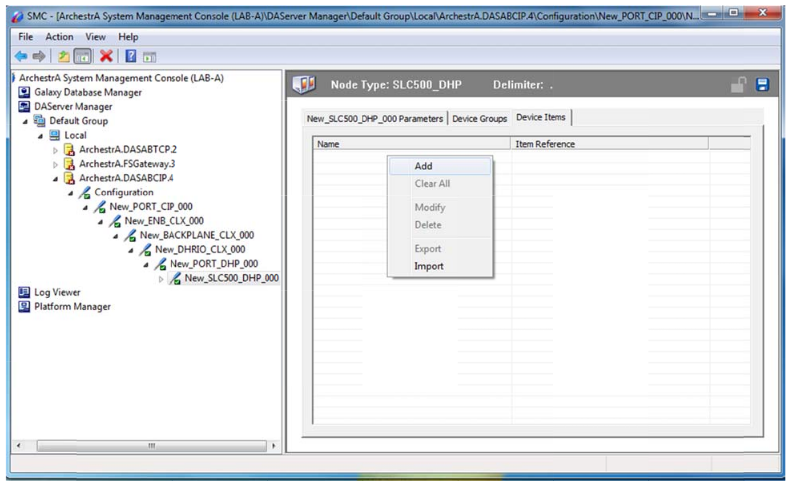 To add an Item Click on Device Items and right under name then Click Add . 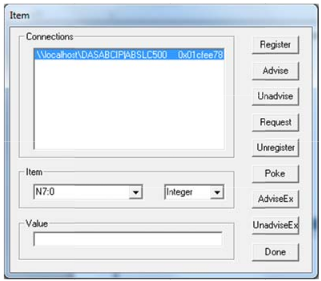 Type a name for the Item and enter the Item reference, an example here we added integer file N7 word 0 and floating point file F8 word 0. 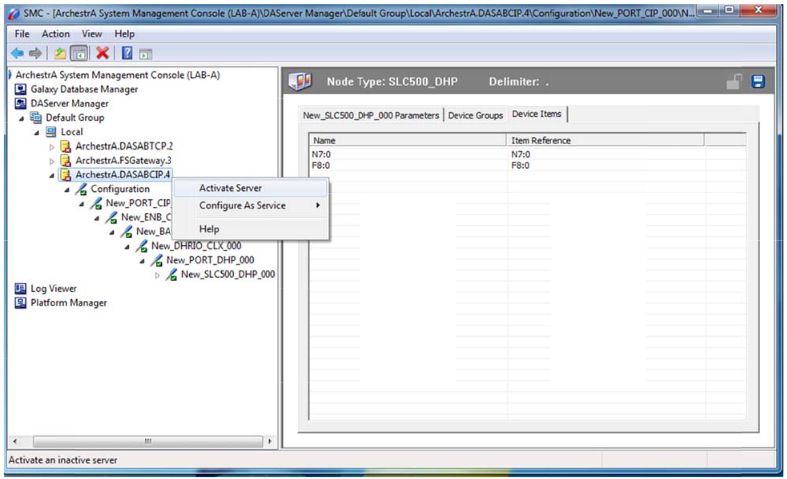 Right Click on ArchestrA DASABCIP and click on Activate Server . 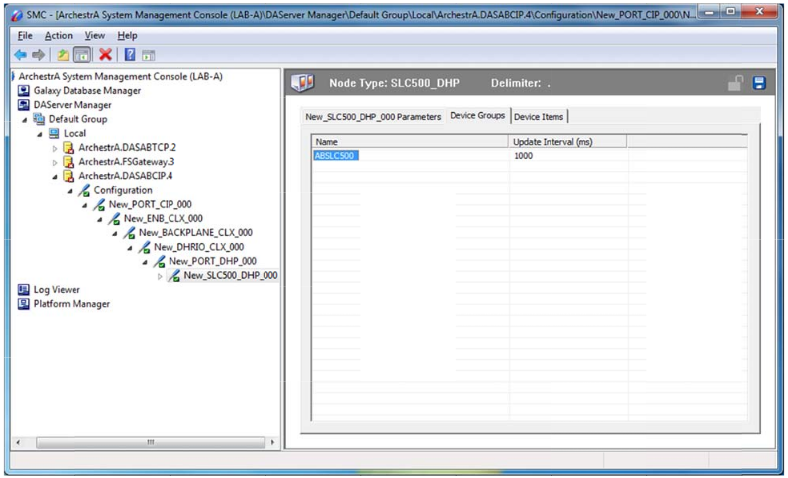 Now you should see the green check mark on the DASABCIP server as shown below . 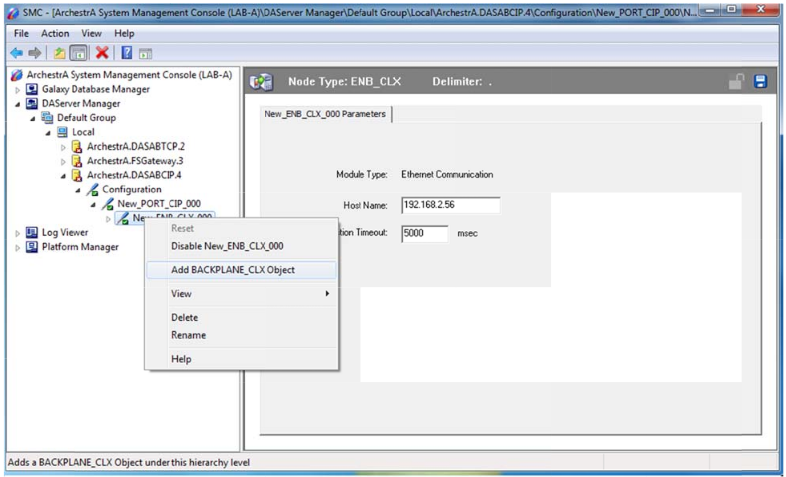 Start Wonderware Client,Click on Connections then Click on Create as shown. 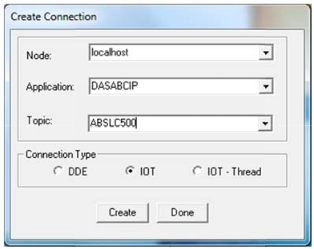 Type DASABCIP for application and topic created under device group, click on Create then click on Done . 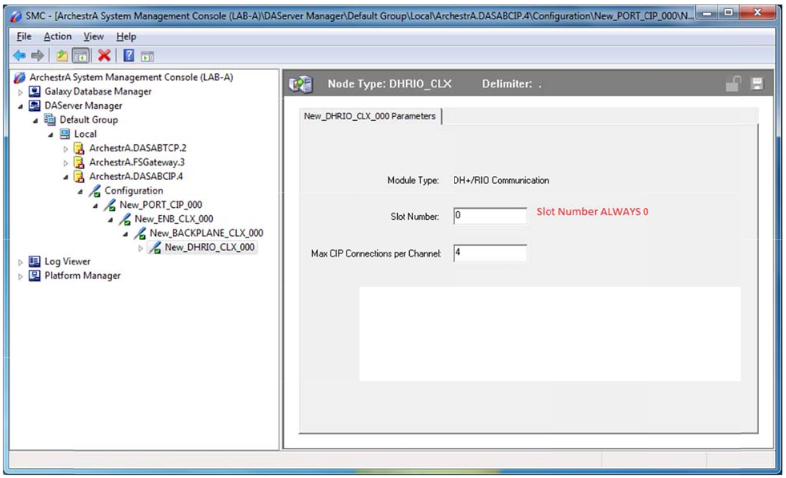 In Wonderware client window you should see something similar to the one below, red circled 0x01cfee78, if thic is not all 0s then that means there is connection, now to confirm by reading the items, click on Item. 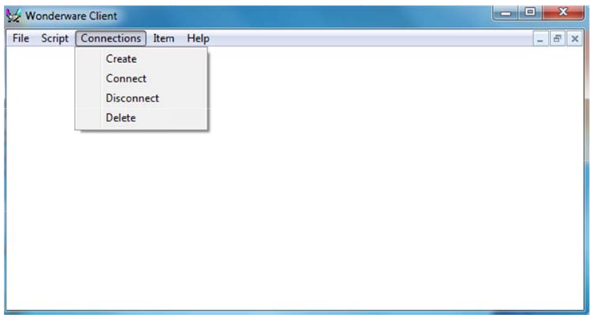 Your Connections should appear as shown hignlighted . 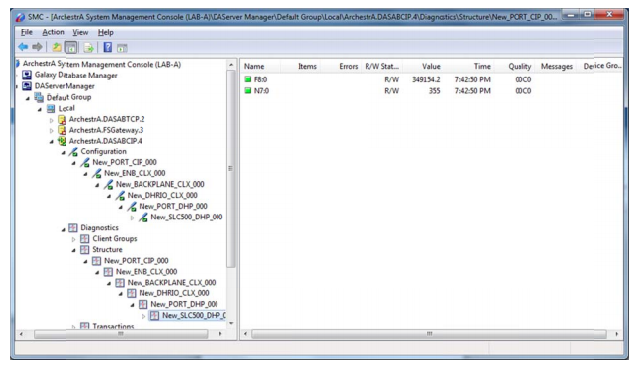 From the drop menu of item select the item and click on AdviseEx to read the value . 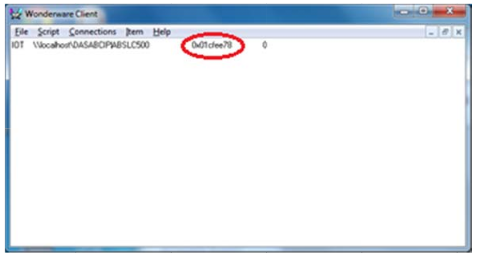 Repeat for other items and click on Done, here in Our example as we mentioned we have N7:0 and N8:0, remember to change the type of the item from the drop menu as well. 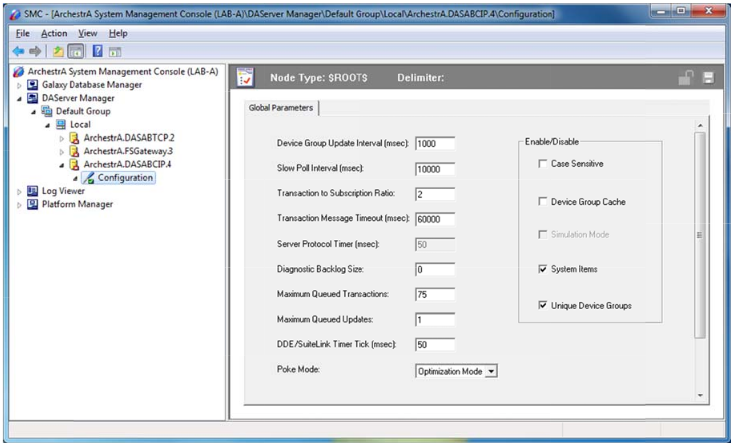 Back to SMC under Diagnostics you should be able to see the same items as shown below .